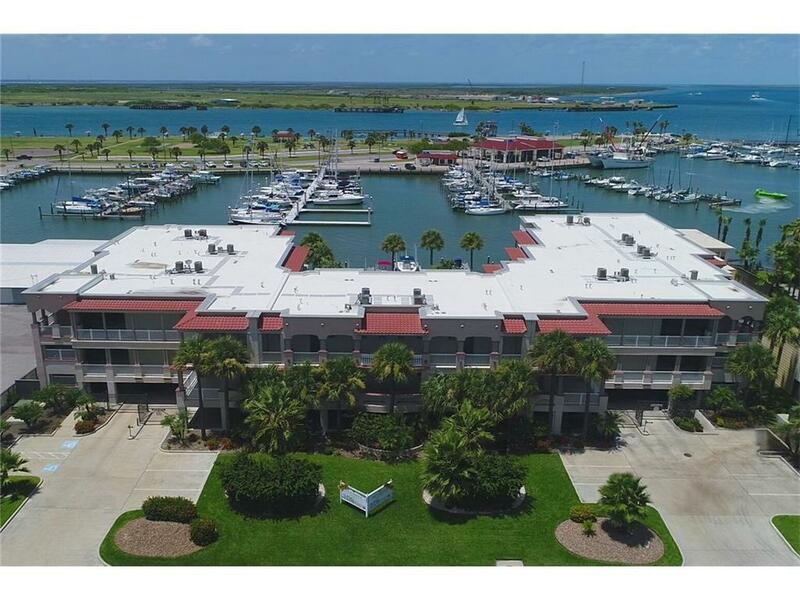 FISHERMAN'S PARADISE, The Harbour Condos Unit 106 offers a Great Waterfront Location in Port Aransas, a deeded boat slip with a 8,000 lb. boat lift, plus a large storage room for your tackle located by the 2 deeded garage parking spaces. 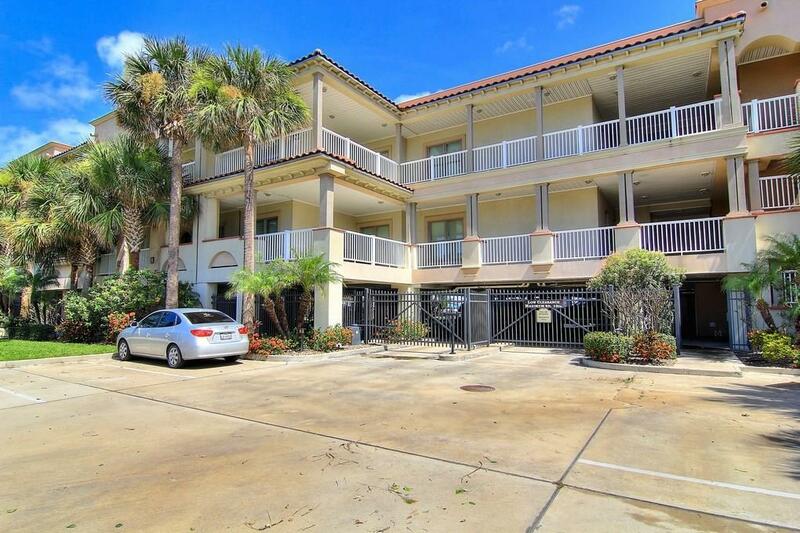 The Harbour Condos is a gated community with a beautiful beach entry pool surrounded by a tropical landscape. Unit 106 offers a high end finish out with 1,949 sq. ft., 10' high ceilings, 3 bedrooms, 2.5 baths. All bedrooms have walk in closets. The kitchen has a gas cook top, pantry, granite counter tops, & stainless steel appliances. You will love the large covered balcony which has a terrific view of the pool, the Port Aransas City Marina, and The Corpus Christi Ship Channel. Enjoy a front row seat for the City Fourth of July fireworks, ship traffic, and fishing tournament weigh ins. 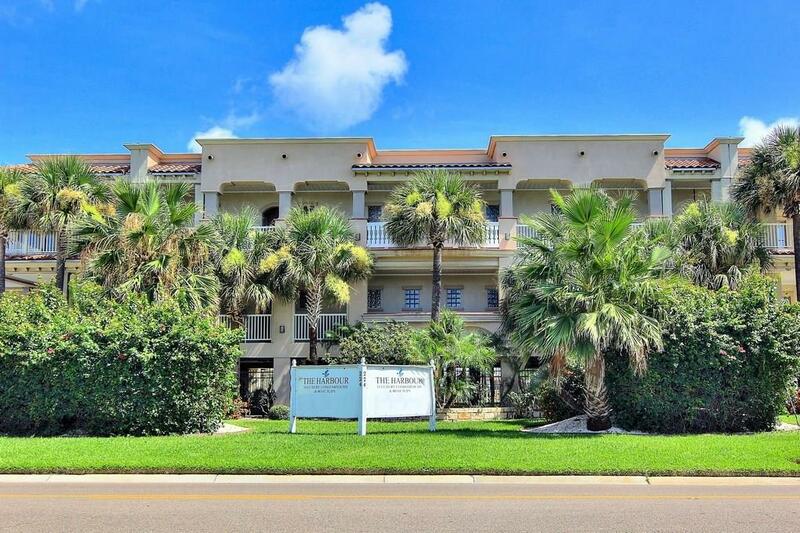 Unit 106 offers Luxury and The Best Port Aransas Location on the waterfront. 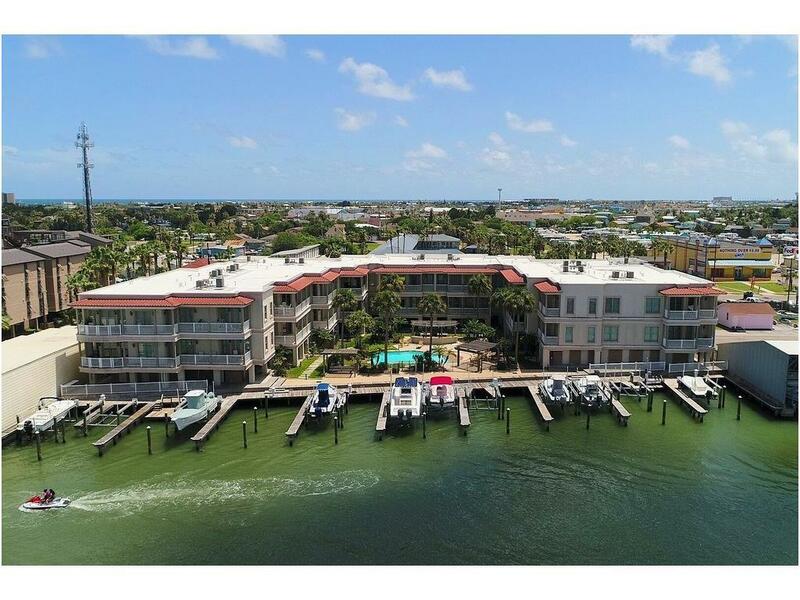 Live your Mustang Island Dream at Unit 106. This beautiful condo is offered at $769,900. Utilities City Sewer City Water Gas Available M.U.D. Age Previously Occupied Apx Sq Ft Source Cnty/Appraisal District Block Num 00 Common Area Association PoolBoat DockGated Entrance Complex Name The Harbour Condos Gated Community YN Yes Hoa Dues 767 Hoa Dues Type Mandatory Hoa Fees Cover Exterior InsuranceExterior UpkeepGround UpkeepTrash Hoa Frequency Monthly Hoa YN Yes Lot Number 00 Possession Closing/Funding Property Sub Type Condo Proposed Financing CashConventional Relocation YN No Reo Foreclosure YN No Short Sale YN No Short Term Rentals YN No Special Notes Vacation Home/Resort Utilities City SewerCity WaterGas AvailableM.U.D.